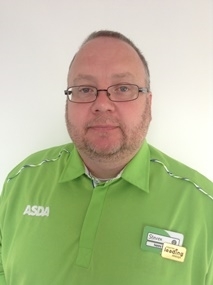 Asda employee, Steven Gleeson, gives us an insight into his career so far. Find out how he started working for Asda, and the best bits about his job. I work in the People Team at Clapham Junction and we help to ensure that all of the necessary HR functions are completed. A large part of the job does involve the more transactional side of things, making sure pay is correct, checking holidays are booked, dealing with sick forms etc, but there is also the opportunity to get involved in projects on behalf of the People Manager. My big project at the moment is managing the recruitment in-store for the (relatively) new store manager. I manage the vacancy notices, deal with candidates, help facilitate the Assessment Centre’s and Induction events. Without a shadow of a doubt the best bit of my job is dealing with people. Colleagues don’t always visit the People Team when things are ok because invariable they come and see us when things have gone wrong. Having the chance to put that right is very rewarding. Also there is nothing better than ringing a candidate who has applied for a job to tell them that we would like to offer them a contract. What’s the best thing about working for Asda? My colleagues! Some of them moan like the world is about to end but when you scratch the surface you find that you are working alongside over 400 very nice people. The work can be tough at times especially when the pressure is on during busy trading periods e.g. Christmas but ultimately the people get you through. When you applied for your job at Asda, what do you think got you the job? I left the Civil Service voluntarily (took advantage of a redundancy package that allowed me to take six months off) and was resolute that my next challenge need to be completely different to what had gone before. When I started applying for jobs I had no idea what I wanted to do. What I had to offer though was credible evidence that demonstrated my experience in dealing with customers on a day to day basis. This really helped shine through at my Asda Assessment Centre and ultimately led to my appointment despite my lack of retail experience. What advice would you give someone who wants to do your job? Don’t ever take things too personally and always take the emotion out of the situation when you have decisions to make. I’d love to always tell people what they want to hear but at times that simply is not possible. Also make sure you communicate very clearly with the people around you. If they don’t know what you are doing then the chances are neither will anyone else! Do you have any funny stories or anecdotes relating to your job? I think the funniest story relates to a visit to America a couple of years ago to attend the Walmart Annual Shareholders Meeting. Colleagues from all around the world are invited to a week-long celebration before the main meeting. Everyone is always encouraged to make lots of noise wherever you go, make up chants, wave flags etc. Didn’t go down so well one morning at 4am when the local police were called as we were walking to breakfast on the university campus where we were staying (yep, there were some early starts each day). Apparently we were making just a little bit too much noise and our group leader was threatened with arrest if we did not quieten down. We took much pride from the fact that we were unacceptably loud! What advice would you give to 14 year old self? Do your revision! I made things hard for myself by not studying enough when it came to exams and whilst I left school with qualifications that were ok, they could have been so much better. It’s only now, having completed the Asda Retail Honours Degree Programme and graduating with my degree, do I look back and think that if I had worked a little bit harder then I may have had more opportunities available to me.